We feel so strong about the topic of wills that I felt to write to you today personally. I want to thank all our subscribers who has been with us for the last three years since we started with this newsletter. There were many things happening around us all the time. Many people have lost their jobs, the world economy is in shambles. Through it all, we try and bring you some good news, and trust that we will be able to continue this in the future. Thanks to those subscribers who inntroduced their friends an family to our newsletter. 1. Is a will not only for people who are wealthy? 2. If I plan well enough, can I ensure that my children are protected financially? 3. Do I really know exactly how many assets I’ve accumulated? 4. How ill my family cope in the days following my death? 5. Will they have enough money to live on until my estate is finalised? 6. How long will the finalisation of my estate take? 7. Who should I ask to look after my estate? Your will is one of the most important documents to be drawn up during your life. It contains important information about all the assets you have accumulated and worked hard for over the years, as well as your final wishes. We will help you plan wisely for the future. How Easy is it to draw up a will? It depends on the size and complexity of your estate as well as the number of beneficiaries you want to nominate. The best option is to keep it as simple and straight forward as possible. Please keep in mind that we need not be old before we need a will. No-one knows the time and hour that we will die. That is great, but when was the last time you actually had a look at that will? Is it still relevant in your current circumstances? AFS supports the Fiduciary Institute of South Africa (FISA) on a wills education public relations programme in the weeks leading up to National Wills Week. FISA aims to educate the public on the importance of having a properly drafted will and also to encourage the public to use a qualified professional to draw up their wills. For any queries in this regard, or if you require additional information, please contact me by replying to this email and we will make contact with you. Have a great week and my all you plans pan out for you. Presented by Aquilla Advisors, the wellness specialists, offering trauma relief to corporate companies and SMME’s. Are you a manager or business owner who deal with employees and colleagues who are affected by the traumatic realities of our time? Do you struggle to find the balance between sympathy and practical support, without creating a future nightmare? Do you want to assist your employees, without creating sticky presidents that can haunt you in future? This workshop gives you an overview of dealing with trauma in the workplace, employee assistance and employee wellness. Practical recommendations will help you to distinguish between a crisis and trauma, as well as how to deal with them respectively. It gives you guidelines on how to offer useful support and utilize community resources, without breaking the bank. · Employees are happier and thus more productive. · Limits absenteeism and reduces workplace conflict. · Improves stress management, thus improves employee relationships. · Sound management in terms of labour legislation. · Improved client service which will improve your company’s bottom line. · Managing stress in the workplace. · Dealing with traumatic news and sharing death notifications. 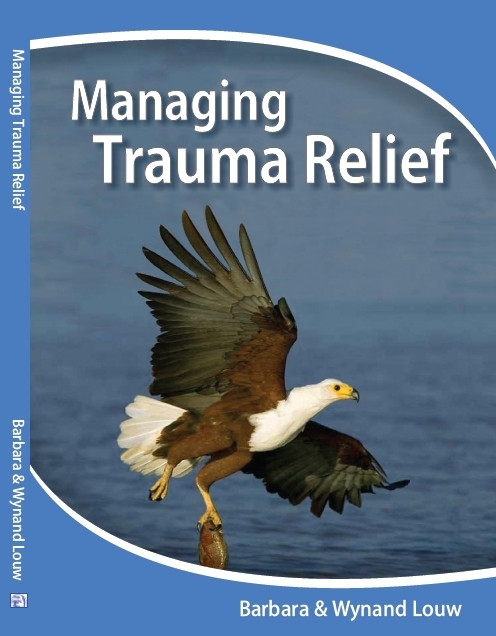 · Managing loss and trauma. · Managing HIV/Aids and the effect on co-employees. · Giving employees guidance to manage their own finances in hard times. · Managing the impact of retrenchment and dismissals. Barbara completed a BTh, MA and is currently working on a PhD. Through her private practice her team offers Employee Wellness Assistance and training. She has a well-established client base, which was built over the past 15 years. She is a wellness strategist, guest lecturer, public and conference speaker on Trauma, Posttraumatic Embitterment Disorder, Victimization, Child Trauma, Victim Empowerment, Crime Prevention, Life skills, Motivation and Being Successful. She is co-author of numerous of books, courses and programmes. Her latest book is “A Sensible Vision – A Practical Model to efficiently support people to put trauma behind them”. Wynand holds a BTh; FIISA; HDiIM; DRFM; DiIM; and he is an MBA Candidate. The topic of his dissertation is: “A Program for Moral regeneration in a multi-cultural South Africa”. Wynand has a wealth of experience in the South African financial services sector and is a successful Business, Financial Advisor, Coach and Mentor and keen public sand conference speaker. He is a senior member of Aquilla Advisors cc, the Managing member of Aquilla Financial Solutions cc and Chairperson of Inter Trauma Nexus. Books with applicable suggestions, worksheets, check lists and action plans are easy to follow and implement will be on sale.